Did you Spot the Easter Egg on Mad Men? Hint: Rolex was involved. Can you spot the Rolex on Mad Men? Bob’s Watches has been a Mad Men fan from the beginning, through all the ups and downs of Don Draper… and we can’t help but notice his Rolex is getting a lot of screen time this season. Whether it’s a plug or not, we love seeing Jon Hamm. A proud member of Bob’s Watches and wears his Rolex Explorer perfectly. Our favorite game lately while watching the show is “spot the Rolex”. It is guaranteed to make your Mad Men experience even more lively. 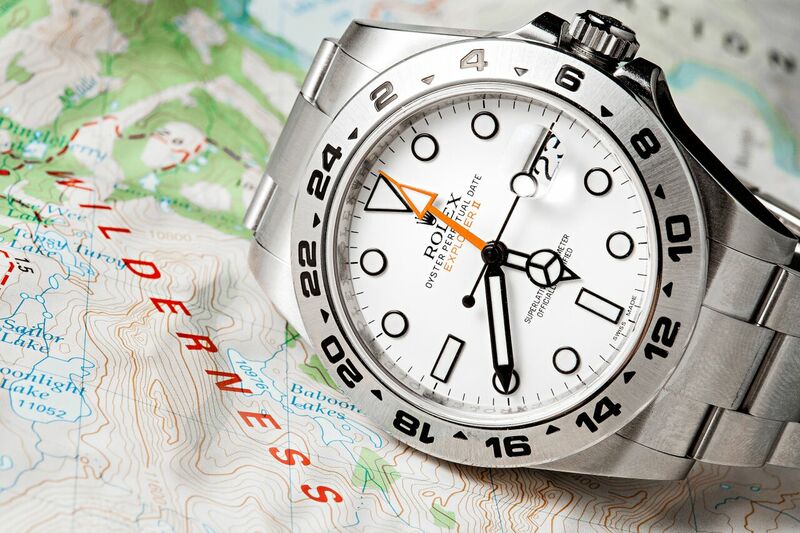 Rolex Explorer II ref. 216570 was featured in the movie” Mad Men. Rumors have been swirling that if you look really closely you may notice his Rolex Explorer on his wrist. You should pause the DVR and zoom in really tight on his wrist. 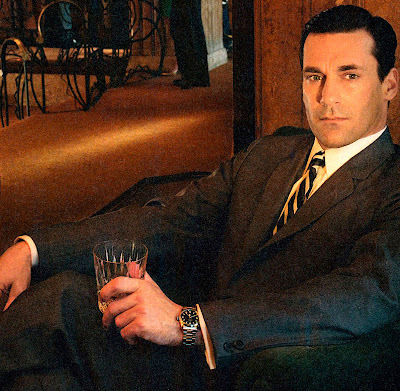 The Rolex watch that Draper is wearing is more current than the shows time period of 1965. It makes us believe that there has to be some kind of endorsement deal going on. But hey, we don’t mind the stainless steel eye candy. 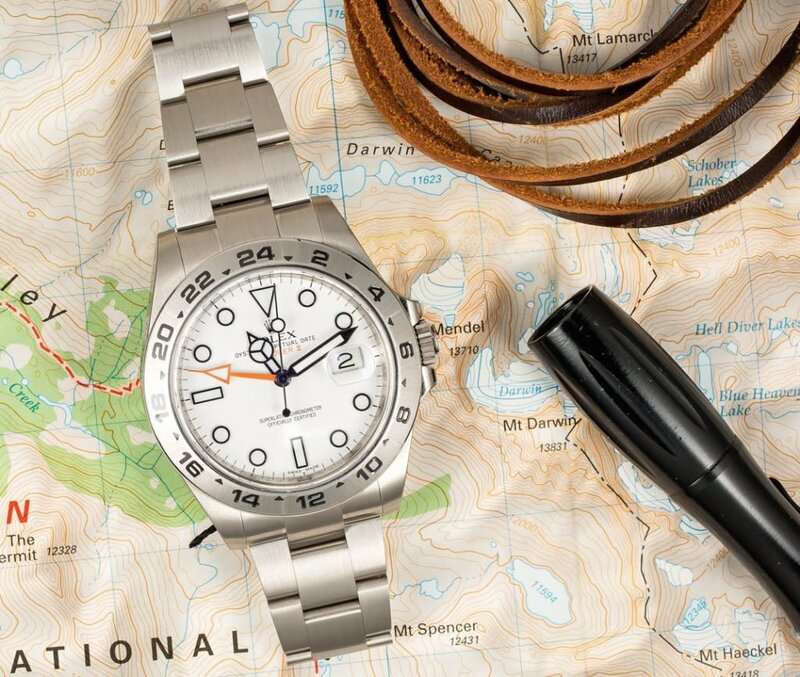 Rolex Explorer II is the perfect watch for anyone who loves adventure. The first Explorer watch model was made and designed as a tool watch for Sir Edmund Hilary for his historic climb to Mount Everest May of 1953. 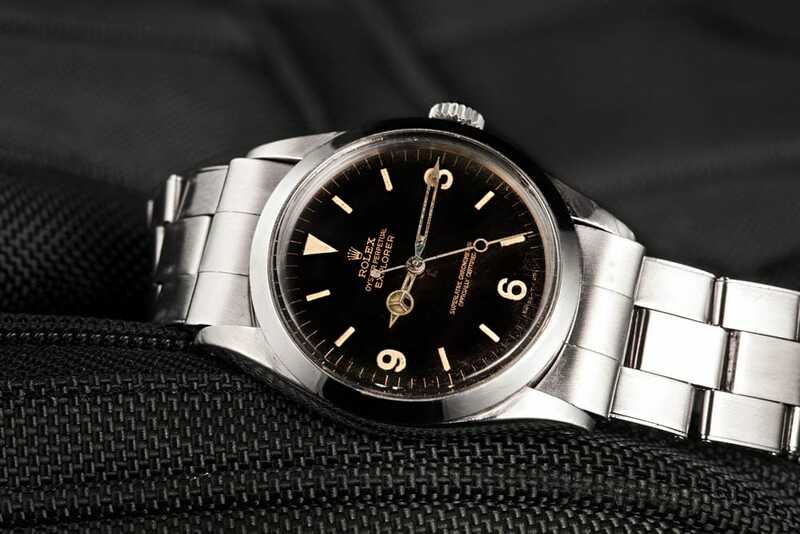 Rolex then released a slightly altered version of the Explorer later that year that featured a black dial with painted-on luminous indices and numerals. Vintage Rolex Explorer housed in Stainless Steel. This model was intended to live up to the aptitude implied in its name, by fulfilling all the requirements of excursions and other exploits. The Explorer has a great history which later experienced more advances over the years and, beginning in 1989, it was designed to be more luxurious. The current version of the Explorer has a larger case at 39 millimeters compared to the prior version at just 36 millimeters.